Japanese students in red and pink ensembles from Tanpopo House, Kobinai, and some handmade pieces while out in Harajuku. Harajuku trio sporting striking red, black and white street styles while out and about on the street one afternoon. Harajuku teen sporting a bright and colorful 1980-inpsired style while out and about on the street. Japanese students in all-red street fashion while out and about in Harajuku. 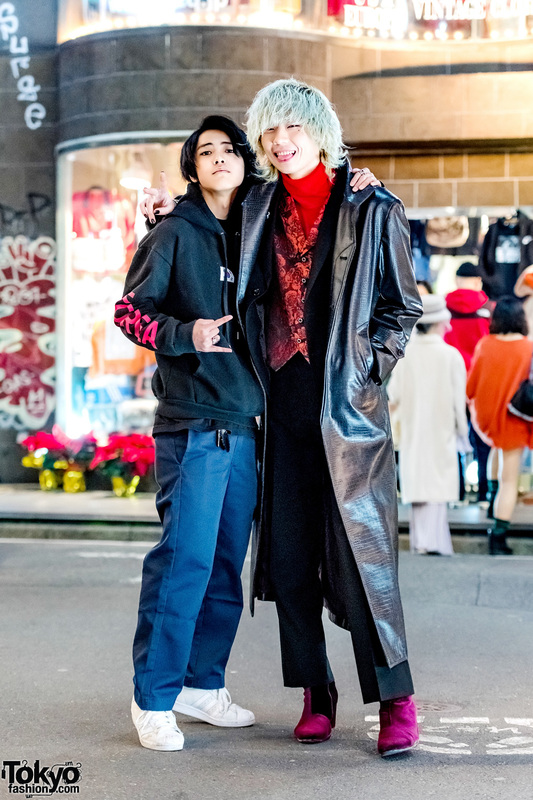 Bunka Fashion College students in fashionable streetwear while out and about on the streets of Harajuku. 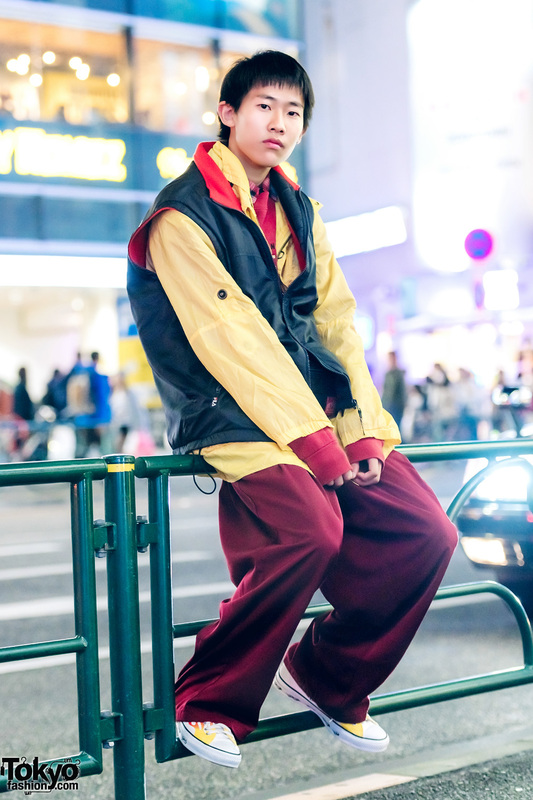 Mandy’s red remake streetwear style while on the streets of Harajuku. 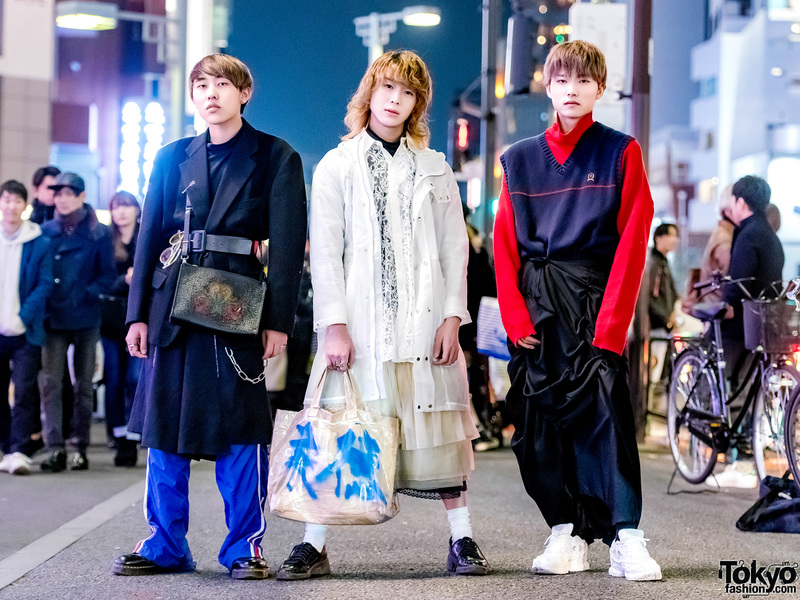 Harajuku guys in casual and layered street ensembles while out and about at night. Japanese student showcasing layered street fashion in Harajuku. 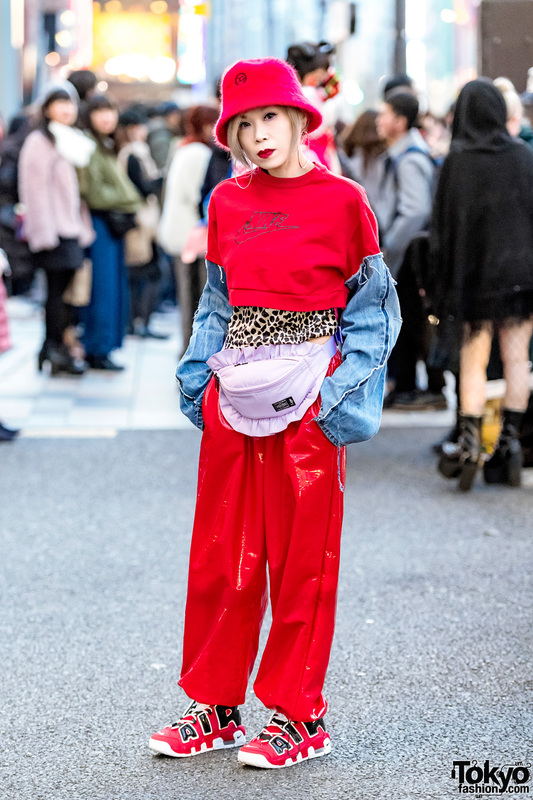 Harajuku girl wearing a red hoodie, denim shorts, leg warmers and platform shoes while out and about on the street.